The best Argos Cyber Monday 2018 UK deals | What Hi-Fi? The end of Black Friday doesn't mean the deals trail has to go cold. Most retailers are all revved up for Cyber Monday. And that includes Argos. The Argos Cyber Monday deals includes a huge range of products, with loads of audio, video and tech products, as well as everything from children's toys to furniture and games consoles. We'll be keeping this page up to date with the best Argos Cyber Monday deals as we spot them, and that currently includes products from Amazon, Google, Sonos, Bose, Samsung and more. While a new generation of iPhone has arrived that means the previous batch, which are still fantastic phones with the latest iOS from Apple, can be had at a bargain. Grab yours right here. What about Cyber Monday 2018 Argos deals? Cyber Monday, the overflow from Black Friday, is fast becoming a more important mega deals occasion in itself year after year. This year that falls on Monday 26 November but deals always tend to run from the end of Black Friday to the Monday so there's no lull in the number of deals to take advantage of. The first thing you can do right now, if you've not already done so, is to get over to Argos' website and sign-up for an account. That way you can get access to all the deals immediately as they become available. You can also sign-up to the Argos mailing list if you want to get alerts sent to your email account as new deals crop up. Another way to prepare ahead of time is to go for a little virtual shop. If you create a wish list then any items in that crop which get a Cyber Monday discount will be ready for you to buy. It's also an easy way to check into your account to have a glance to see if discounts have appeared on what you want. If spending isn't as simply as shelling out, then an Argos Card might help, which lets you spread the cost from three to twelve months. If you've got a Nectar Card already then have this handy for orders so you can cash in on points too. If not then head over to the Nectar website to sign-up. TV deals are some of the best when it comes to Cyber Monday and last year was no different with the fantastic 55-inch Samsung 55MU6220 bringing curved 4K and HDR quality for just £579. A great computer bargain for Cyber Monday saw this laptop with 8GB or RAM and an Intel i5 dual-core processor drop to just £160. Expect plenty of PS4 Black Cyber Monday this year. Last year got you the console with games including FIFA 18 and Gran Turismo Sport for just £199. The Amazon tablets are often dropped in price so a Cyber Monday deal was inevitable last year. As a result the Amazon Fire 7 tablet was dropped in price by £10 for the event. Headphones are many in number with so many competing pairs that you can always find a top deal on Cyber Monday. Last year, the AKG C50BT Bluetooth headphones were dropped to just under £70. Each year there is a general trend of what goes on sale during Cyber Monday. That allows us to work out and predict future sales so you know what to plan for ahead of time. It might even give you some early Christmas gift ideas. Last year Argos launched its Christmas hub which showed off tending gift ideas. This is another nice way to discover presents that you can grab at a bargain price if they crop up on Cyber Monday deals. Here are some of the deals you can expect from Argos on Cyber Monday 2018. The world of artificially intelligent speakers, which you can control with your voice, is growing. As a result there are now more options with lower prices than ever. If you're not part of the smart speaker revolution yet, now could be the time to join. This year the number of 4K UHD TVs sold has been huge. Sure 8K launched but it's still too expensive and early for even early adopters. 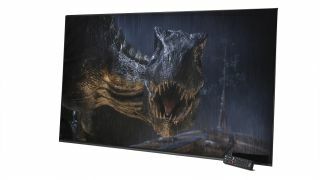 That push forward in tech is helping lower 4K TV prices so expect them to be lower than ever for Cyber Monday deals with the likes of Samsung, Sony, LG, Hisense and Philips all expected to feature. If you're a fan of Windows machines and want to get a new laptop then Acer is a great option as it builds powerful machines at low prices. That means this year should see Windows 10 laptops for less on Cyber Monday if Argos follows on with the Acer deals as it did last year. Thanks to the likes of aptX Bluetooth connectivity and battery life enhancements, wireless headphones are better quality and more appealing than ever. They're also cheaper than ever and drop even more in deals which will more than likely happen this Cyber Monday. Expect the Sony PS4 Pro, Xbox One X and Nintendo Switch all to get some great bundle offerings this year on Cyber Monday. The Argos Cyber Monday deals are going to be pretty well spread across the company's offerings but expect tech to get the most deals. As such we've broken that down into sections so you know what to look out for. For a physical purchase Argos is a winner as it offers Fast Track which allows you get to get your purchase, skipping the queue, in a shop. It also offers delivery if that's more convenient. What could be a downside is the popularity of these deals which may be enough to crash the Argos site. That in mind, it is a good idea to get on there at night when it will, potentially, be quieter. Another positive is the ability to buy on credit, if you need to, so costs can be spread out a bit. Of course this is also bad as you'll need to pay APR. Cyber Monday is a busy and sometimes daunting event so it's best to go in guided. That's why we're doing all the work of hunting down the best deals so you don't have to. Check out our various Cyber Monday deals features and you'll be able to enjoy a distilled version of what's out there so you can get the best deals without so much of the hassle.